Submitica is the new online portal RAMM Software Ltd has created for contractors, utility operators and other applicants such as event organisers to create and maintain their Corridor Access Request (CAR) applications. The applications can be managed in Submitica whether they were submitted from beforeUdig, CAR Manager or from Submitica itself. Corridor Access Requests (CARs) are requests to corridor managers by utility operators, their contractors, or other applicants such as event organisers to access the Road corridor. Access to the corridor is required to make changes to electricity, gas, telecommunications, water, wastewater and postal infrastructure and for events such as Santa Parades and Fun Runs. If you are a CAR applicant and have never used Submitica, you should watch An Introduction to Submitica. It will explain what Submitica is and how it fits into the application process. 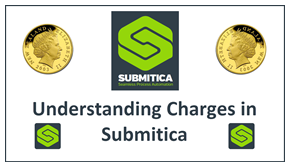 If you are a corridor manager the video An Introduction to Submitica for RCAs is for you. The more you understand about Submitica, the more you will get out of it. Click the link below and watch. This short video will introduce RCAs and their employees to the features of Submitica. This short video will introduce Road Corridor Access Request (CAR) Applicants to the features of Submitica. Before you use Submitica, you may want to understand the CAR Application process from application to warranty. 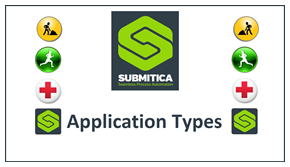 You’ll need to be familiar with the different application types and how to set up and manage your Submitica account. You can also see an example of Using Submitica. Here is an overview of the Corridor Access Request (CAR) Application process from the application to the Warranty Period. Watch this for an overview of the different types of Road Corridor Access Request(CAR) Applications which can be created and managed in Submitica. Here is an overview of how to use Submitica for the CAR Application process. This is a great place for new users to start. You need a Submitica account. Watch this to learn how to create your own account. Anyone can create a Submitica account. Your email address is your Submitica identifier. If you have used more than one email account, you will need to link them to see all your applications. This process overview shows the steps in making CAR Applications using Submitica. More detailed information is available from the linked step videos. There are nine steps in creating a CAR Application in Submitica. First you check for conflicting CARs in the same location and time frame of your application. You then place the CAR on the map, you add the participants and the details of the work. Once all the information has been added you Submit the application. Before you create an application you should check the Planning Map to see if there are CARs in conflict with your Application. The first actions when creating a CAR Application are to define the Application Type, (ie Excavation), and confirm that you have a TMP. You define the location and area of the Road Corridor affected by the works. This includes drawing the shape of the works on the map. You define the expected duration of the work and whether it will be Major, Minor or a Project. There is a wizard to help. You add, as Participants, everyone who should be able to view this application and everyone whom the RCA CAR Manager might need to contact. You select the Activities to be performed from the drop-down list. The list changes dynamically to match the Application Type. You set the level of traffic in the works area. You confirm whether or not full road closure is required. You also upload your TMP. If you have a Consent Number or Utility Code you enter them. You upload supplementary files and write information helpful to the CAR Manager. This is your last chance to make sure that your CAR Application is complete and accurate before you Submit it. So check all the details carefully. Once you have submitted an Application you will need to notify work start and completion, manage your application list, understand the Progress Bar, manage your Submitica account, and you may even have to retrieve a lost password. There is also information on charges you may have to pay and Controlling Automated Emails. Your last chance to check that the CAR Application is accurate and complete is just before you press the Submit button. Five days before you start the works, you must advise the RCA. You must also notify them when the works are complete. If you are associated with a large number of CAR Applications the list in Submitica can be quite long. Here is how to wrangle those Applications. You can edit your account details, change your password, link alternate accounts and arrange access to other users’ Applications. The Progress Bar indicates the progress of the Application through the CAR process. Learn what triggers its movement. We all forget passwords occasionally. Here is how to retrieve your Submitica password if you have forgotten or lost it. Every CAR Application must include a Traffic Management Plan (TMP). There may also be other files that you should associate with the Application. Application fees may apply to CAR applicants. These may display in Submitica. Watch to understand what you might see. Submitica Nominated Bill Payers and Organisation Super Account Holders have options no other Submitica users have. See more. Submitica automatically sends confirmation emails to CAR participants. You can control the number and frequency of these emails. If you are not affected when Submitica is taken down for maintenance, you may not want to receive notification emails.